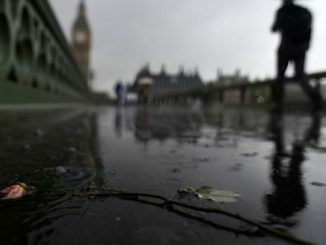 Does the West face “an almost certain doom”? What we see, in reading Robert Spencer’s The History of Jihad is an on-going clash that rises and falls in intensity according to the tides of war and the energy of the Islamic nations to fight them, and of their neighbors to resist them. Islam, as we see it today, makes up about a fifth of the world’s total population spread around the world in some forty countries. Since most Muslim states show a much higher birth-rate than their adversaries, we can expect its proportion of the world’s population to increase significantly in the near future. Historically, Islam expanded by conquest. It went north from Arabia to the Byzantine and Persian Empires. It next went west across North Africa and south to Central Africa; it turned north again to Spain and France. Islamic forces attacked the islands in the Mediterranean, Italy, Greece, and the Balkans. Other Islamic armies went east to the South of Russia, to the very frontier of China, and into India where some of the bloodiest battles were fought. Indonesia and its Islands are among the only major Islamic nations that were not initially conquered by force of arms. Islam is a religion, and this fact is the first truth about it. For many non-Muslims, who cannot comprehend why religion can be such a force, this is a most difficult concept to understand. After reading the Qur’an, Islam can probably be best imagined as a Judeo-Christian heresy. The Qur’an is filled with passages mindful in some way or another of Judeo-Christian sources, however much they are transformed into Islam’s own peculiar tenets. The Qur’an takes pains, for example, to deny the possibility of an Incarnation or a Trinity; Jesus Christ is but a pious prophet, not God Incarnate. Islam has an inner dynamism of its own. It sees its purpose as the conquest of the world for Allah so that all may be subject to him. Above all, Allah is to be praised. Men must submit to Allah’s will, whatever it is. It cannot ever be wrong. Islam sees the world as divided between the peace of Islam, which by definition means rule according to Islamic law, and the world of war, that is, those places not yet under Islamic law. Everyone in the world, Islam holds, is born a Muslim and only loses his initial faith by bad teachings of family or other religions or philosophies. Once a Muslim, it is never permitted to leave its fold. Its laws severely punish any blasphemy against Mohammed, Allah, or the Qur’an. What characterizes Allah, and hence Islam, is not logos, or reason, but will. The will of Allah can change to its opposite without any objection or warning. The world is founded in this arbitrary will. If by the will of Allah anything existing thing can become something else, we cannot investigate it for its order or causes as it need not be what it appears to be. This restriction includes us. If Allah wills it, what is once wrong can become right. The foundation of Islam is its Holy Book, the Qur’an. Spencer is careful to cite the Qur’an at every turn. This book, the Qur’an, is said to be the direct revelation through Mohammed who is not strictly its author; Allah is. Though Islam has many clerics and imams that issue edicts, it has no central interpretative authority. However, definite customs and interpretations of the text of the Qur’an do exist with some four different legal schools. The office of the caliphate, when occupied, did serve as a central ruling source. The world mission of Islam is seen to last over time, gradually seeking to expand when it could. What is of interest to Islamic culture is not science or politics in the normal sense. It sees the ills of the world in terms of its own beliefs, of adherence or non-adherence to Islamic laws. Muslim armies, in imposing Islamic law on newly conquered peoples, are understood to be doing the work of Allah. If they die in this cause, they receive the promised reward. A believing Muslim cannot be really content so long as some sphere of humanity lies outside the Sharia. If Islam is not growing and expanding, the Muslim will think that Allah has abandoned him. There are many factions within Islam itself. Not only is their warfare against the infidels, there is conflict over their own law. The historic and on-going struggles between Shiite and Sunni Muslims are only the most well-known. But these divisions usually do not mean any over-all disagreement over the end of subjecting the world to Allah. It is difficult for modern non-Muslims to take seriously the idea that a religious mission can abide over time, over centuries, and itself be the central motivating spirit of its believers. Part of this difficulty concerns the use of force and war as a positive mandate of religion. But there is no doubt that in various ways the Qur’an justifies the use of force in expanding Islam. The structure of Spencer’s book reflects this difficulty of understanding Islam. Some ninety percent of the book is a careful, minute description of the war record of Islam. To understand Islam, one has to know the book, the Qur’an, the various sayings of Mohammed, and the record of what Muslim believers have done to achieve the purpose of Islam in the world. Since it is only rarely taught or even understood, the record of Islamic armies needs this detailed presentation. In one sense, it is the same story repeated over and over again from the seventh century to the twenty-first. Spenser brings this history to life. Islam is still pretty much in possession of the territories that it conquered in its early years of expansion. Spain, the Balkans, and the Islands in the Mediterranean are the exceptions. Islamic law holds that once a country is conquered, even if expelled later, it still remains by rights Muslim. What is new in the twenty-first century is a resurgence of Islam, something anticipated in modern decades by very few, with Hilaire Belloc being a notable exception. The Crusades were last ditch defensive efforts of Europe to save itself in earlier centuries. Spencer, however, does not see this self-defensive effort happening again. Islam has long sought to make inroads into Europe. What seems possible now to the many Muslim thinkers that Spencer records is the extension of Islam into Europe and America. This extension or invasion as symbolized by the influx of large numbers of refugees has made Islam a presence in almost every European country but especially in Sweden, Britain, Spain, France, and Germany. A second object of Spencer’s book is to ask the pressing question of why modern non-Muslims choose not understand this record as normative for Islam. Hence, we have the confused efforts to speak of “terrorists” versus “peaceful” Muslims. The terrorists are said to have nothing to do with Islam, while the peaceful Muslims are just going about their quiet business. Peace, however, in Islam is the condition and state when everyone is Muslim. In this sense, as Spencer points out in several places, there can be no permanent peace with Islam and really no “dialogue” that is not aimed at furthering the purpose of Islam. In short, Islam does not assimilate. It establishes its own organization within any larger political unit where it finds itself. Spencer recounts the billions of dollars the Saudi regime has spent in building mosque-complexes all over Europe and America. A mosque now exists in almost any large city in Europe or America. The pattern of Islamic conquest holds fairly steady over time. Whether it be in Syria, Libya, Nigeria, Turkey, or India, whether we deal with Zoroastrians. Jews, or Christians, when once any are conquered by Islamic forces, they will be offered a choice of how they choose to live: either convert, pay a tax, or die. Almost invariably conquered places of worship are either destroyed completely or converted into mosques. One of the striking things about Spencer’s overview is the place of slavery in Islam. When not killed outright, conquered men, women, and children are sold as slaves. The vagaries of the various slave markets are noted by Spencer. Spencer presents a narrative of the Islamic world and mind. He almost always presents Islamic history in terms of contemporary Muslim writers; he knows what Islamic thinkers use and present to justify their views. The reader also is aware that within Islam is found a dynamism that does not let it forget its own vocation of world conquest. Most Western thinkers will look for motives that are non-religious to explain the energy found in Islam. Yet, the evidence seems conclusive. Islam cannot rest if some non-Muslim part of the world continues to exist. We cannot pretend that war and bloodshed are not part of the historic record and of the teachings within Islam. So long as the Qur’an is kept in its integrity, these ideas will keep recurring within Islam. Spencer does not think that the West will ultimately recognize the nature of this movement to conquer the world and to impose the Sharia on all nations as a sign of submission to Allah. He uses the word “doom”. 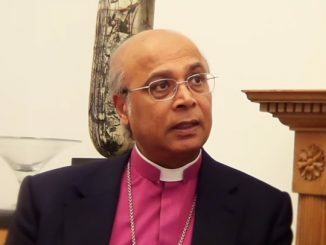 He maintains that the people who would suffer most under Sharia are precisely those who cannot or will not take the teachings and historic record of Islam seriously. Spencer does not pretend to be a prophet, but he does offer a judgment based on a careful attention to facts. To diligently seek to oppose jihad and all that goes with it would be a turn of events that Spencer certainly hopes will come about. But if it is not to come about, it will be because it is prevented from doing so. And that requires a respectful and attentive look at what Islam has invariably done in the past and what its Holy Book outlines for it. Why—to answer the second part of Spencer’s thesis—are people so reluctant to see this historic record and the causes behind it? Several possibilities exist. 1) Liberalism does not take religion or permanent principles to be unchangeable. Therefore, when Muslims settle under democratic laws, they will gradually themselves become relativists. 2) The second is what I call the “sleeping dog thesis.” The adage “let sleeping dogs lie” means, in this case, that there is no sense in stirring up Muslim masses. The historical record is true and simply tells us to have nothing to do with Islam. 3) A third view would be that Islam is less dangerous than Christianity. Thus, given a choice, we should favor Islam. 4) The fourth reason is a legitimate fear of confronting such a fanatical foe. More bloodshed would arise from confronting it than leaving alone at all costs. In short, we do not confront Islam because we know, from reading Spencer’s book, what to expect. 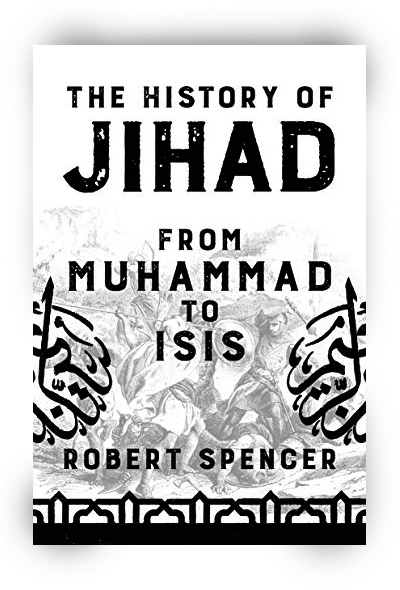 1 Robert Spencer, The History of Jihad: From Muhammad to ISIS (New York: Bombardier Books 2018), 151. 3 Raymond Ibrahim, Sword and Scimitar: Fourteen Centuries of War between Islam and the West (New York: De Capo Press 2018)–Review: Schall, “On the Purpose of Islam,” Catholic World Report, October 24, 2018). See also David Pinault, The Crucifix on Mecca’s Front Porch: A Christian Companion to the Study of Islam (San Francisco: Ignatius Press 2018)–Review: Schall, “To Rome through Mecca,” Catholic World Report, September 7, 2018). 4 Robert Reilly, The Closing of the Muslim Mind (Wilmington: ISI Books 2011); Samir Kalil Samir, 111 Questions on Islam (San Francisco: Ignatius Press 2008). See also Joshua Mitchell, Tocqueville in Arabia (Chicago: University of Chicago Press 2013). 5 See also Laurent Murawiec, The Mind of Jihad (Washington: The Hudson Institute, 2003). 8 See George Marlin, Christian Persecution in the Near-East: A Modern Tragedy (South Bend, In. : St. Augustine’s Press, 2015); Robert Royal, The Catholic Martyrs of the Twentieth Century (New York: Crossroads 2000). James V. Schall, S.J. taught political philosophy at Georgetown University for many years until recently retiring. He is the author of numerous books and countless essays on philosophy, theology, education, morality, and other topics. His most recent book is On Islam: A Chronological Record, 2002-2018 (Ignatius Press, 2018). Visit his site, "Another Sort of Learning", for more about his writings and work. 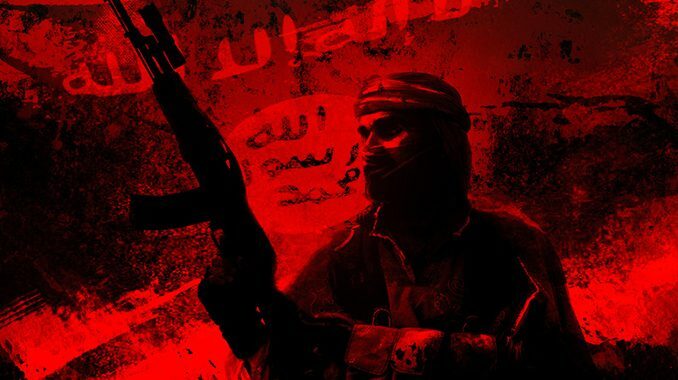 Radical Islam, like Fascism and Communism, poses an existential threat to Western civilization (or any civilization for that matter, given Radical Islam’s global reach). And like them, it must be fought and defeated, for the alternative is subjugation by the most barbaric totalitarian ideology mankind has ever seen. Unfortunately, there is no such thing as radical Islam. That depends what you mean. “Radical” means “to the root”. Thus “radical” Muslims and “radical Islam” would be those that most closely follow the roots – Koran and Mohammed’s sunnah – of Islam. Another word for them would be orthodox Muslim and orthodox Islam. A view supported by the koran itself which calls those unwilling to kill and die in Jihad “hypocrites”. Islam is Islam. There is no such thing as radical Islam. Use of the adjective radical instead of true or fundamentalist is misleading. Islam is the ultimate death culture. It is celebrated by the wealthy universities like Harvard and post-Catholic / post-Christian Georgetown, because Islam gives universities what they worship: Big Cash. The term “Radical Islam” is to miss the point of the piece. The only true and faithful Muslim is the one who wages jihad and that does not a radical make. Waging jihad is not to be radical but to be faithful to Islam. Belloc saw this in his book ” The Great Heresies” in the 1930’s. He would have been greatly amused to know that post Christian Europe invited the muslims to overrun them. “Amused” is definitely not a word that neither Belloc nor I would use in this context. It all comes down to God’s Will. He will come to our rescue; “our” referring to the small, faithful remnant of Christianity that is left after Islam, atheism and the One World Order (Illuminati) collective, culminating in the antichrist, are done having their way with humanity insofar as God allows. When Christ asks, “When the Son of man returns, will He find any faith on earth?”, the answer has to be YES. Otherwise, the devil will have conquered Christ. Notice that our Lord sidestepped the question – “How MUCH faith will remain on earth?”. Though, He knows well that answer, too. Belloc actually predicted that the West would likely face a resurgent Islam again in the event it lost it’s faith. Fr Schall outlines the dilemma of mod Muslim insurgency that with the apparent defeat of the ISIS Caliphate is more infusion into the West by migration blessed by our Pontiff. And accommodated by the global unity deranged. Islam would be a sleeping dog menace if not for the failure of Catholics. Not Catholicism. Catholicism provided the weapons a holy life God the insurance. Throughout history Islam Communism et al threatened Christ’s Church either to strengthen as dur the Crusades or at Lepanto. Now the diabolic ideology that calls itself a religion finds the West too much of a temptation for rapine subjugation of the weak soulless once valorous. What will save a brilliant culture become decadent valor considered toxic masculinity. Christ was a man in every respect and the current flabby homosexual doctrine now given to the Church is the bane of Man created in God’s image. Like the knights of old called to battle now armed with faith at least a partial victory if not Vanquish of the foe. Have there been any directions from the Vatican to speak highly of Islam? We do NOT worship the “same God” as Islam but I have talked to priests who say we do. The allah god of Islam denies Christ’s divinity and death on the cross…need I say more? Thanks Father Schall for a summary review of book with great relevance. 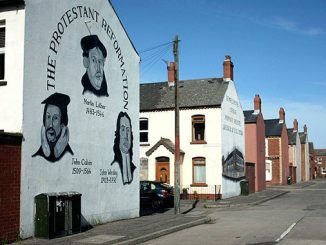 History seems to stand in the way of expecting much practical leadership from Catholic Governance in this profound confrontation, but we have no reason to expect it. Isabella and Ferdinand are history. What we do need is political will at the service of common law. Father Schall, a Political Scientist of renown, and persons of similar erudition ought to seek public witness before the Chief Executive, the Congress and the Courts in search of a National solution in our Liberal society. Our very Constitution insists on religious freedom without defining “religion” itself. Such a broad legal requirement is inadequate in sorting out the mindset that would subjugate others, a thought that is irreconcilable with freedom of conscience. Even an oath of allegiance to our Constitution is not up to the task since Islam asserts a right to bear false witness when It finds it to be ‘necessary’. Other noble Jesuits have borne such a burden in the past. Father Hurley and the Philippines comes to mind, and others relating to our Native peoples. — Well, I can dream can’t I? The enemy is within, and he does not claim to be a Moslem. We as a Church and a culture are possessed by a spirit of self-loathing. It is most supremely exhibited by those who should be upholding us in the perennial Magisterium of the Church. Having abandoned the faith, how can they possibly carry out their vocational mandate? Praise be Jesus Christ, both now and forever. Mr. Spencer does not read Arabic. He is not trained academically in anything that would qualify him to write any of his books. He is a polemicist pure and simple. But he can read. In fact he often gathers his material from Arabic writings of Islamic scholars that were translated into English and are endorsed by Islamic organizations. Kill unbelievers written in English translated from Arabic doesn’t mean give em hugs and lollipops in the original language. Thst’s the classic Muslim cop out. I could have read Mein Kampf in English during the 1920’s and 1930’s and would have known exactly what Hitler intended for the world should he ever come to power. Many people read the book, but few took him seriously. If Islam becomes the ubermensch of the new order in Europe and USA, the now dominant neo pagans can expect less mercy than the people of the book in these continents. I would be interested in Fr. Schall’s thoughts of the Blessed Mother’s role in the conversion of Muslims, especially in light of the Battle of Lepanto. Islam is protected, and therefore its objectives facilitated, by the political, legal, educational, media and often Christian religious institutions of the very Western societies that Islam is hell bent on subduing and overthrowing. This is no accident of history. The globalist elites are implacably committed to the eradication of every last vestige of Christian civilization. The West’s enforced capitulation to Islam serves this purpose. The mass influx of Muslim “refugees” into Western Europe is by no means a spontaneous phenomenon. It was preconceived; it is heavily financed by such as George Soros, and occurs with the involvement of the U.N. and the E.U. And to our great disappointment, though certainly not our surprise, it is lauded by the current occupant of the Chair of St. Peter who, it must be said, demonstrates an abysmal wilful ignorance of the origins, history and purpose of the religion of Mohamed. Islam is not the problem. It is doing what it has always done; connive, deceive and work towards its goal of enslaving the dhimini. The real problem is the collective West and far too many of its religious and political leadership, who refuse to admit reality, even when it is following its murderous ambitions. One wonders how bad things have to get, before the post Christian West acts to save itself. It would be great if Father Schall and Robert Spencer could sit with the Pope and have a serious discussion about Islam, Islamic Jihad, and the Qur’an. Somebody needs to help him understand what Islam is all about. It would be a waste of time. Pope Francis is a proud and willfull man, rigidly entrenched in his liberation theology, and dismissive of any opinion different than his own. Hmmm…it’s looks like catholicism before Second Vatican, isn’t it ? There are prophecies about the Moslems rising up against the Church and all peoples. According to future Catholic prophecies, this age is “coming to a close”, after 10 events unfold that Mary, Mother of Jesus has predicted at some of the major apparition sites throughout the world. This information also comes from canonized saint’s prophecies. A spiritual storm has begun that is growing with intensity. Pope John Paul II had visions of the future while convalescing after an attempt on his life and was aware of a great storm on the horizon. He stated: “Precisely at the end of the second millennium, there accumulates on the horizon of all mankind enormously threatening clouds, and darkness falls upon mankind.” An awakening is coming!! Pope John Paul talked about the Lamb (Jesus Christ), who is the only one able to open up the seven seals: “That scroll contains the whole series of divine decrees that must be accomplished in human history to make perfect justice prevail. If the scroll remains sealed, these decrees can be neither known nor implemented, and wickedness will continue to spread and oppress believers. Hence, the need for authoritative intervention: it would be made by the slain and risen Lamb…to take the scroll and to open its seals.”. This is not the end of Popes though. Popes will continue into the 6th Church age of peace. There are 7 Church ages for the Church.